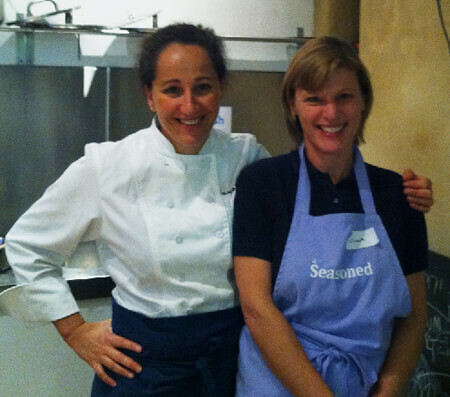 On 17th October, with the aim of gaining some top cooking tips, Clare took part in a cookery course run by Sara Danesin Medio. Sara is the lovely Italian lady who was a 2011 Masterchef finalist. Dishes tackled included fresh pasta with red mullet and pesto, seafood risotto and panna cotta. Delicious!